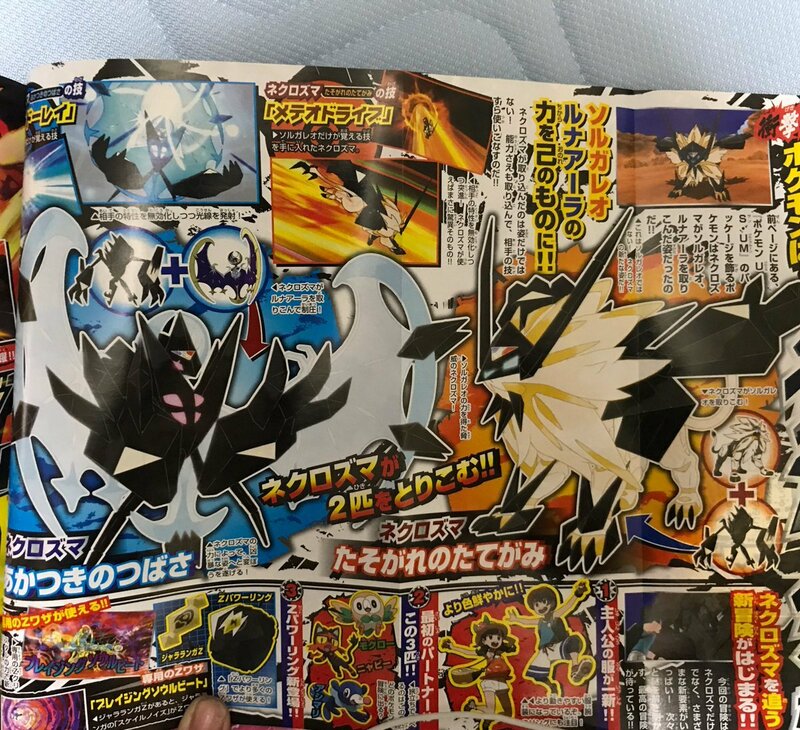 The upcoming CoroCoro issue, leaked as usual, reveals the names of Necrozma’s new forms featured in Pokémon Ultra Sun and Pokémon Ultra Moon. The Japanese names of these forms have been revealed so far. Necrozma’s Solgaleo form is named Necrozma Mane of Twilight, while the Lunala form is named Necrozma Wings of Dawn. 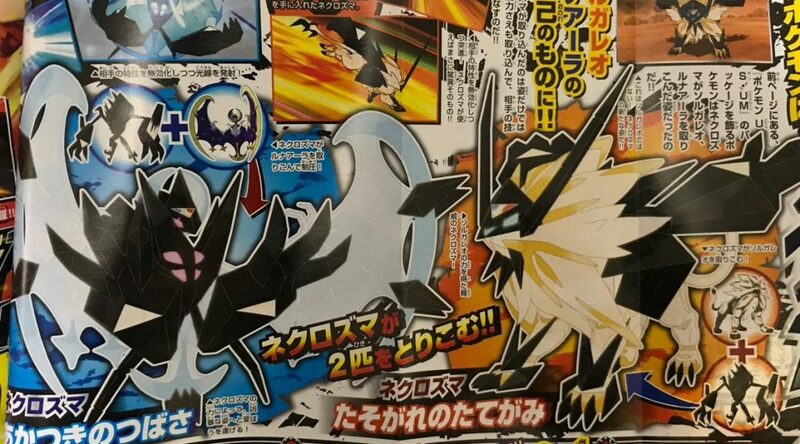 CoroCoro has also revealed that these Necrozma forms have the signature moves of the Pokémon the forms resemble — the Solgaleo form learns Sunsteel Strike, and the Lunala form learns Moongeist Beam.  The leaked issue also covers information already shown on the official websites and press releases. What meaning may there be behind these names? What do you think of the forms now? (Are these names too long?) 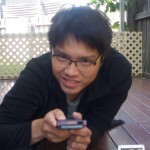 Be sure to leave a comment!